“Da così a così,” an Italian phrase that basically translates to “from this to that” sums up how this Euro tournament has gone. What was expected has been turned completely upside down, and there is truly nothing predictable about it. Russia and Poland out, Czech Republic and Greece in. Even if Germany was predictable and Portugal was likely, who knew that Denmark would go out with more points than the Netherlands? Or more specifically, the Netherlands, who for many were tournament favorites, would crash out with zero points? It’s like the Bizarro world of Euros. And yet the football is delicious. Ibra: "Wait, we just lost to those pasty English blokes?" 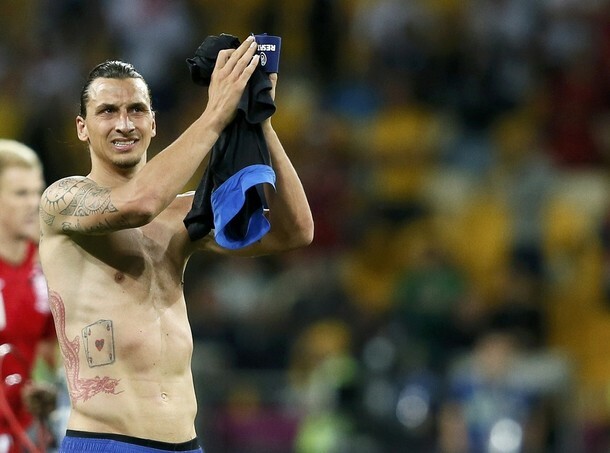 Maybe Sweden weren’t favorites, but with one game left to play, they have been mathematically eliminated, leaving our Zlatan Ibrahimovic with a little more time on his hands than he was hoping for. He has said that he no longer cares who wins the Euros, he is ready to go on vacation, and I think a lot of fans are feeling the same way if their team has been eliminated already. (But they will be missing some good football!) Ukraine could still sneak through, but that’s unlikely to happen with our former Sheva injured. Who knew that Mexès would be our most likely player to go through to the Quarterfinals after two games? Of course, today, the fate of the four Italian Milan players will be determined. And fate is not in their hands. They need to depend on either Spain or Croatia to win in addition to taking down the great Trappatoni and his Irish boys. Let’s just say the odds aren’t great. But then again, so far in this tournament nothing is predictable, except that the games and the outcomes have been absolutely riveting. Abate: "Wait, I got 5 stitches in my face for this?" Will Cassano, Nocerino, Abate, and Montolivo get an early vacation? Will Italy fans be celebrating tonight or mourning? Feel free to take a guess before kickoff, we’ll see who gets it right. But in the event of either situation, I thought I would offer you a solution: comfort food. If there’s one thing Italians know, it’s food, even if it’s just a simple summer pasta salad. 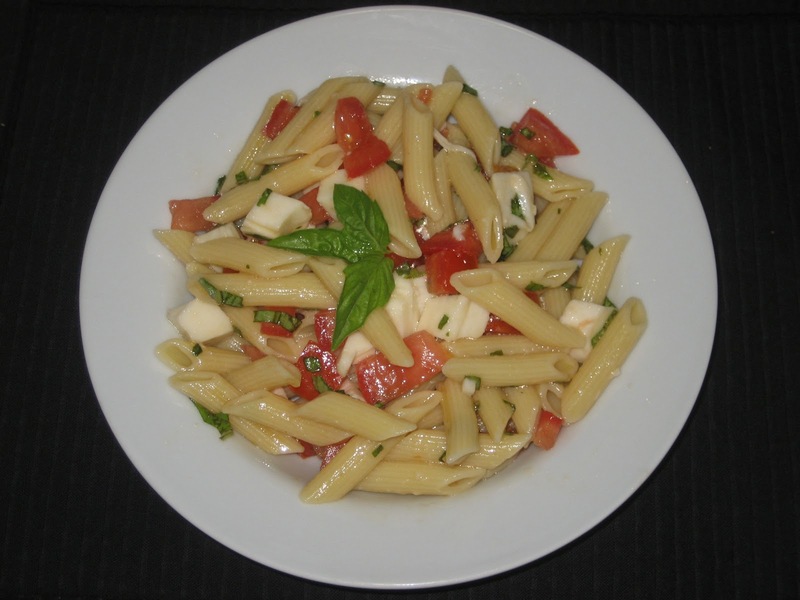 This one is called “Pasta Italia” and represents the colors of the Italian flag: green, white, and red. It’s so simple, even a footballer can prepare it. If you follow the recipe without any substitutions, you really can’t go wrong with it. Pasta Italia is great for celebrations, it’s great for consoling a loss, too, and it’s reasonably healthy, simple, but mostly, it’s absolutely delicious. So even if you are not an Azzurri fan, feel free to grab the ingredients and throw it together tonight after the games. So there you have it, something delicious to cling to in this upside down world of a football tournament. With something light and tasty like this, maybe you can stomach watching the rest of the tournament, even if your favorite player or team has been eliminated. Because besides being unpredictable, this Euros has provided us with some fabulous football, like a tournament should. Buon appetito!